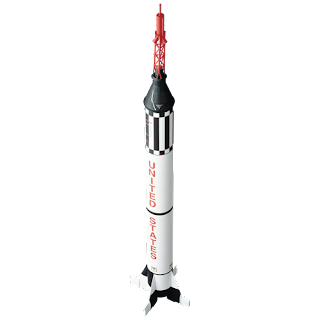 With the Estes Mercury-Redstone model rocket, Estes pay tribute to the rockets that took the first Americans into space. 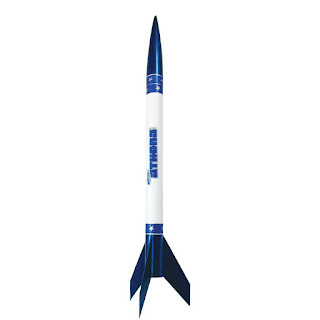 The stunning Estes Mercury-Redstone model rocket kit is a skill level three model rocket, which means that it will take saver days to construct and it has a fairly complex design. 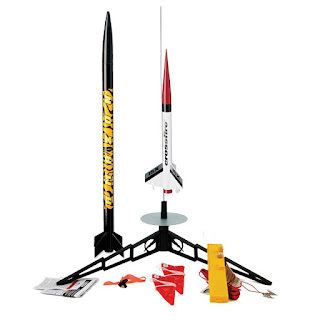 For this type of Estes rocket kit, you will need moderate modelling skills and you will need a bit of patience to complete it. Along with other Estes rockets like the Estes V2 Semi-Scale Model, the Estes Little Joe II and the Estes Saturn V Model Rocket Kit, the Mercury-Redstone model rocket would make a wonderful addition a collection of historical based model rockets. The very first human in space was the Russian cosmonaut Yuri Gagarin, who, on April 12 1961, made his 108 minute orbit of the earth in a Vostok 1 spacecraft. Less than one month later on May 5, 1961, Alan Sheppard became the first American in space when he was launched in a Redstone Rocket carrying Mercury Spacecraft 7, named Freedom 7, to a 15 minute sub-orbital flight that reached an altitude of 166 miles. The Mercury-Redstone launch vehicle was the first of NASA’s space boosters that was designed to carry people. The rocket was used for six sub-orbital flights that were launched from 1950 to 1962. The rocket was derived from a US Army ballistic missile, which was upgraded to make it suitable human space flight. Before Alan Shepherds flight in 1961, a Mercury-Redstone rocket had been used to launch a chimpanzee named Ham into space in one of NASA’s earliest tests into the effects of space flight on the functioning of living things. 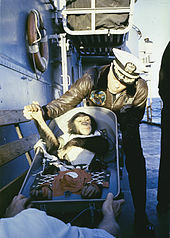 Ham, which was an acronym for the Holloman Aerospace Medical, the lab at which the chimp was trained for the flight, was taught to pull levers in response to flashing lights. His reaction times were monitored during his short journey into space and the results of the inflight tests proved to NASA that people would be able to carry out tasks in space. The second American human manned flight was made by astronaut Virgil I. 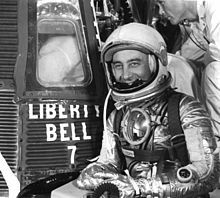 "Gus" Grissom in the Mercury capsule the he named Liberty Bell 7. It is that historic space vehicle that the Estes Mercury Redstone model rocket is based on. As well as being well-known as one of the pioneering flights of the NASA space programme, the Mercury-Redstone 4 flight is also famous for the fact that the space capsule door emergency release was accidentally blown when the capsule splashed down in the Atlantic Ocean. Grissom escaped from the capsule, just before it sank to the bottom of the sea. Sadly, Grissom was later killed, along with fellow astronauts Ed White and Roger Chaffee, in an accident that occurred during a launch rehearsal for Apollo 1 on January 27, 1967. 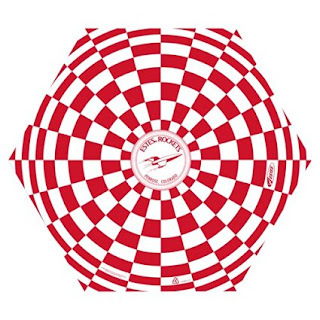 The Estes Mercury Redstone flying model kit is a beautifully finished scale model of the first rocket to take an American astronaut into space. This is the type of model rocket that you will want to take your time building, because then you will an awesome historical rocket to add to your model rocket collection. The finished rocket will stand at about 28.6" (72.6cm) and it’s powered by a C6-3 engine to give a slower, more realistic looking flight. It will soar majestically to an altitude of approximately 200 feet and then drift gently back to earth on a parachute recovery system. Thanks for your interest in HPR. We charge a small fee for any advertising or guest blogging, and this income helps support our rocketry projects. Please let me know if you have any questions or concerns. HPR has recently seen an increase in readership, frequently breaking 2,000 viewers per day. We are also flexible and can consider alternatives. It sounds like an ongoing partnership or post series might be appropriate. We can give you a multi-post discount to the rates above, and can also customize those posts to give a more organic appearance. If you should like to advertise, we accept paypal payments and will post as soon as you give the go ahead.